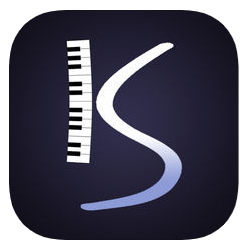 KeyStage is a master controller app designed mainly for keyboard players. With KeyStage, you can simultaneously control any number of hardware and software instruments using any number of MIDI controllers in an organized way. Each project consists of sections (which corresponds to sections of a song). In each section you can change sounds and sound parameters of connected instruments, create complex splits and layers of your keyboard(s), change the functionalities of sliders/knobs/pedals of your MIDI controllers by creating advanced MIDI mappings, view PDF and JPG files (e.g. sheet music) and lyrics, and much more. •	Connect any number of MIDI controller to any number of MIDI instruments by creating tracks. •	Assign any region of your keyboard(s) to any connected instrument. •	Change velocity curve and velocity limits, and create velocity splits and layers. •	Transpose notes and restrict notes to any key using pitch shifter. •	Send program change, bank select and control change messages to connected instruments. by choosing patch names from patch lists. KeyStage can also import Cubase Patch Scripts to automatically create instrument presets for your MIDI instruments. • KeyStage automatically detects new MIDI connections and recommends matching instrument presets from a database. •	Simulate auto-sustain on any connected instrument. •	Change or filter any MIDI signal using custom translators. Use “Relative Control” switch to smoothly change the parameters of your instruments without any jumps. •	Use XY control unit to send control change and pitch bend messages to any connected MIDI instrument. • Create setlists, quick access all the songs in a setlist from a setlist bar, move to previous/next songs from live console or using external MIDI. • Create virtual MIDI inputs/outputs for KeyStage. •	Use virtual MIDI piano controller to play connected instruments. •	View PDF and JPG files. Link any page or region of any file to any section. •	Backup and restore your songs and global properties to Dropbox. •	Map special actions (like changing octaves, switching sections, changing pages of a PDF file) to notes and controllers using custom translators. •	Use MPE routing to control any MIDI instrument using MPE controllers like Seaboard. Use custom translators to change the functionalities of each MPE dimension. •	KeyStage supports smooth transitions between sections. Pressed notes will continue to sound when you switch sections.